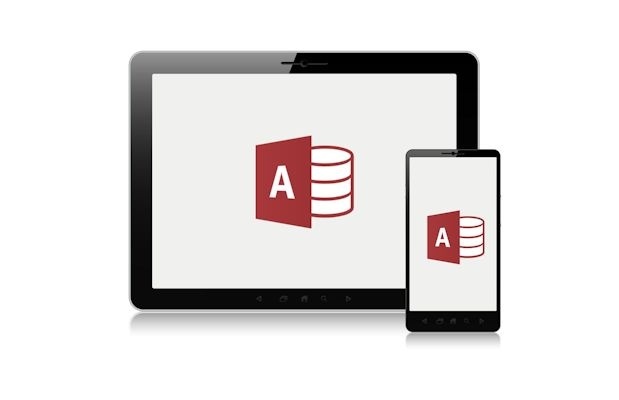 What's the Fastest, Easiest Way to Take My Microsoft Access Applications Mobile? For hundreds of thousands of MS Access developers the following question is on their minds: "I have a Microsoft Access app and need to take it to the web and mobile devices, what is going to be my fastest and most cost effective option?" The answer is "Alpha Anywhere." Developers tell us that Alpha Anywhere is the product that Microsoft should have built—but didn't—for rapidly building web and mobile apps. While leaving your desktop applications in place, Alpha Anywhere lets you build secure, responsive HTML5 and Hybrid (HTML5/PhoneGap) web and mobile applications that tie directly to your Microsoft Access data—applications that run smoothly on all browsers and mobile platforms from a single codebase. Construction firm takes Microsoft Access application mobile and saves 50% in time & costs. Thousands of legacy applications have been built using Microsoft Access, and are still chugging away. In its time, Microsoft Access was a popular choice among developers who wanted to quickly build apps, frequently in combination with a Microsoft SQL Server backend. Unfortunately, Microsoft Access has a very serious shortcoming: You can't use it to build mobile apps or Web portals. Microsoft Access is designed to build desktop applications ONLY. So what's a developer to do if he has an old Access application and wants to turn it mobile? Access developers need to find an alternative. That's exactly the situation that telecommunications services company CTG3 recently faced. CTG3 wanted to replace its Microsoft Access-built desktop application with a Web portal so that its agents could more easily do their work anywhere the Internet is available. And it wanted to build a new consumer service, CarrierFinder.Net, that would allow consumers to check what telecommunications services are available anywhere in the United States. They needed a tool that would allow them to replace their access applications quickly and quickly found Alpha Anywhere was "a great fit and was the closest thing I could find to Access for the Web. It let me build what I wanted with very little work." The benefits? Tens of thousands of dollars in savings in development costs and a faster time to market. Global Leader in Energy Services Uses Alpha Anywhere to update legacy Microsoft Access system for Web and Mobile. Two of the most critical issues facing Microsoft Access developers today are: how to move their legacy Access desktop applications to the web and mobile devices as today's users are demanding, and how to extend the longevity of their existing Microsoft Access apps by adding web and mobile functionality. Business Analyst, Oxford Scientific - "My colleagues are telling me I deserve a 'Best Programmer Award,' but the real honor goes to Alpha Software." President, CTG3 - "That's why I turned to Alpha Anywhere—it was a great fit and was the closest thing I could find to Access for the Web. It let me build what I wanted with very little work." We can help you take your Microsoft Access applications mobile.